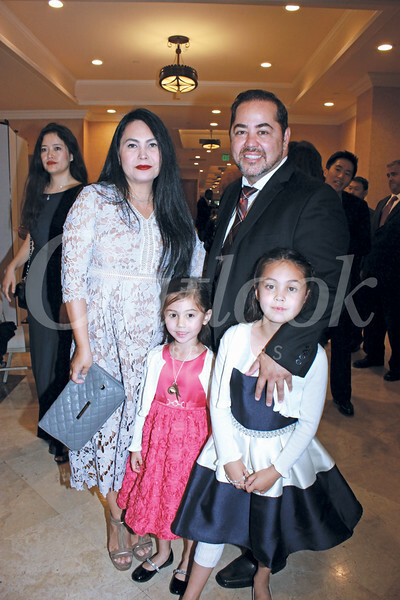 More than 600 guests turned out for the Chinese Club of San Marino’s Mid-Autumn Festival last Saturday night at the San Gabriel Hilton. John Chou, chair of the event and Chinese Club president-elect for 2017, said this year’s theme, “You Can Make a Difference,” was in tribute to community volunteers and those who perform community service. Highlights at this year’s event included a robot demonstration from San Marino High School robotics club faculty adviser Scott Barton and his students, an orchestral performance by the Huntington Middle School orchestra directed by Rob Folsom, a student-directed performance by the SMHS choir, and a rock music performance by resident Dai Qin and several students and parents from Carver Elementary School. Fundraising totals were still being tabulated as of press time; proceeds will fund Chinese Club activities and will also be donated to a variety of civic groups and San Marino schools. Mid-Autumn Festival organizers included Chou, Alan Chen, Maggie Lee, Shirley Lee and Joyce Lin.